Thread: GENUINE CarPlay+Android Auto is ALL HERE and Now! 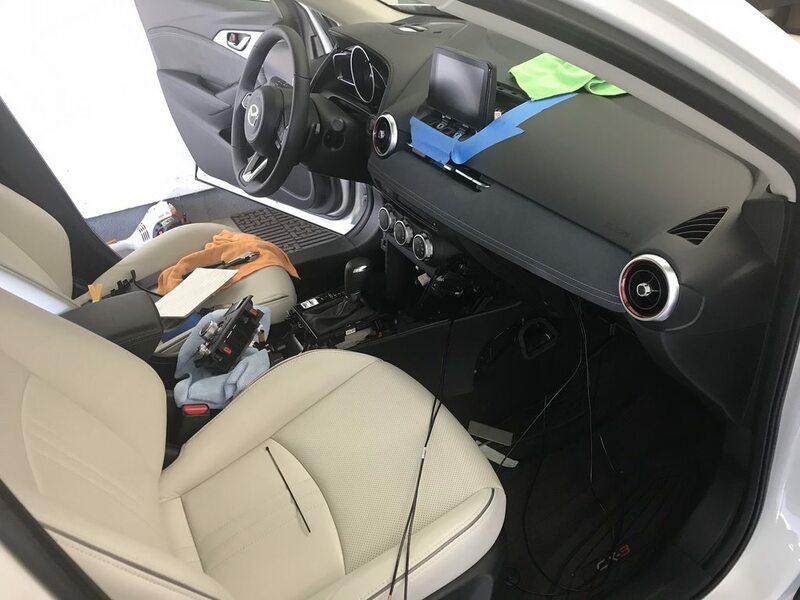 For Mazda CX-3 Genuine Car Play and Android Auto in their MZD/Mazda Connect Infotainment System. Here again are the GENUINE Mazda Part Numbers for the required new parts..
1 x TK78-66-9U0C AUX Hub Unit. 1 x C9**-V6-605 USB Data Cable SET (2)...see READ-ME Warning.txt in Server in link.for your Part Numbers. Plus New NA N 70.00.021B FIRMWARE. Plus New EU N 70.00.021A FIRMWARE. Plus New 4A N (ADR) 70.00.021A FIRMWARE....NA at the moment! MUST Install new Firmware FIRST (with Old Parts still installed). Then you MUST Remove the Old AUX Hub and remove the Single USB Cable from old AUX Hub and up to the CMU Unit (under Display Screen). To remove these Parts you need to remove Console, Gear Lever Surround, Gear Lever Knob, Rear Console, Side Wall Panels at front of console under dash, and the Trims around the Touch Screen and Centre Air Vents, you then need to unbolt the Screen to access the CMU under the Screen to change over the 2 NEW USB Cables, which runs down to Newly Install AUX Hub. Once you have done this you can turn on ACC mode and CP/AA will boot up and Run. Your Old now Removed unused Parts MUST BE DISCARDED. ALL OLD Stocks and are incompatible with the FIRST Official Release of 70's Mazda Firmware, You have been WARNED! This has all been tested and failed months ago, so don't think you know more as no NEWS is New News. Been told Parts Arrive @ Mazda Australia in August for a Release in September. Mazda Motors Europe has ALL parts available now from all Mazda Dealers in Europe and UK. Mazda USA has parts and some Dealer you can buy from, but limited stocks are ONLY meant for 2018 GL Mazda 6, More USA Stocks in December. Many owners will want their Mazda Dealer to supply and Fit CP/AA, it is about a 1.5 Hour job, a Dealer Install for Labor and Parts ?? BTW: I am ASH8 from Mazda 3 Rev, Miata, RX-8 Forums. ASH8, thanks for your detailed instructions and posting this. I now have CarPlay! I would pay to have you install this in my and my friends cars instead of the dealership =) too bad you're way out in FL. It wasn't too bad, you just have to be careful and patient. You can do it! thanks..but you're giving me too much credit. Had this done at the dealership yesterday on my 2016 CX-3. The $500+ price tag was a little steep but I LOVE IT!!! Very cool!! !